The New York Youth Symphony is proud to be able to offer five Vargas-Vetter/Ukena Fellowships each season. Students from underserved communities between the ages of 12 and 22 in the NYYS orchestra, chamber music, jazz, conducting, composition, and musical theater composition programs are eligible to apply for the fellowships which will last one or two years. 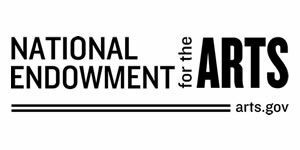 Awarded fellows will participate in NYYS programs (including performances, rehearsals, sectionals, master classes and workshops) and receive a $5,000 stipend to offset costs of NYYS fees, private lessons, travel, and instrument maintenance. Fellows will be paired with a mentor who will guide them throughout their fellowship and work together to advise them on their musical education and career goals. Five fellowships will be awarded. Fellows are eligible to receive a full-tuition scholarship to the Interlochen Center for the Arts summer music camp. Fellows will participate in NYYS community outreach activities. These fellowships are made possible through the generosity of NYYS trustee Rima Vargas-Vetter and her husband, Paul Ukena. I have been playing guitar for most of my life––I started when I was five years old (I am 15 now). From when I was about 6 to the time I was 11, I studied with Rob Stoner, Bob Dylan’s former bandleader. When I was eleven, I got turned onto Joe Bonamassa and blues. Shortly after I was inspired by Jeff Beck to explore the world of jazz. 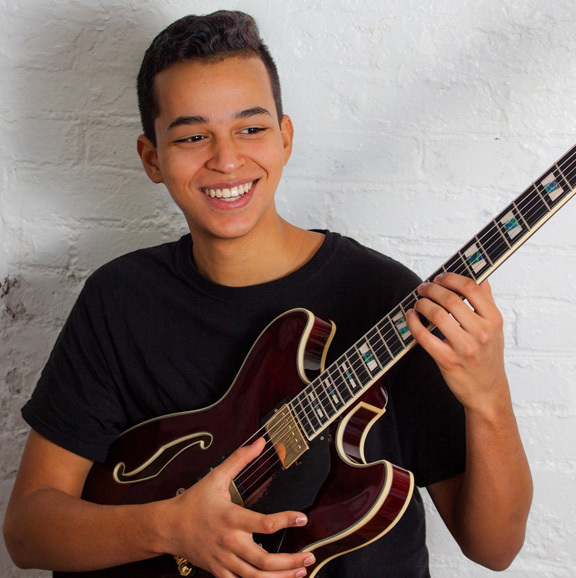 I joined the Rockland Youth Jazz Ensemble and a year later moved into the city to attend the Special Music School as a double major in jazz guitar and composition. I have been in the New York Youth Symphony Jazz Big Band for just a few months, but already it has been an inspiration for me to further my education. The band is so professional, and I feel so encouraged every time I’m playing, that I always want to make sure that my part is learned really well. NYYS has been a huge benefit for me, and I am very glad that I have the opportunity to be in this program. I would love to play jazz as a profession, and I practice with a vision that I can pursue it. Satchel will be mentored by Ryan Keberle, composer and jazz trombonist. I joined the NYYS Chamber Music Program in 2013 and the orchestra in 2014. Participating in these programs has helped me make great progress as a musician and I consider myself lucky to have found a community of people who are so welcoming and passionate about music.The chamber program is incredibly important to me because it has taught me so much about the importance of communication in music and showed me the connection that can be created between people who work on and perform pieces together. Not only have I had the chance to develop my musicianship, I have met people that I know I will continue to play music with for years to come. Being a part of the NYYS has given me a chance to become immersed in the world of music and it is something that I hope to pursue for the rest of my life. I am incredibly grateful for all of the experiences that I have had as part of these NYYS programs. Emma will be mentored by Lisa Tipton, director of the NYYS Chamber Music Program. 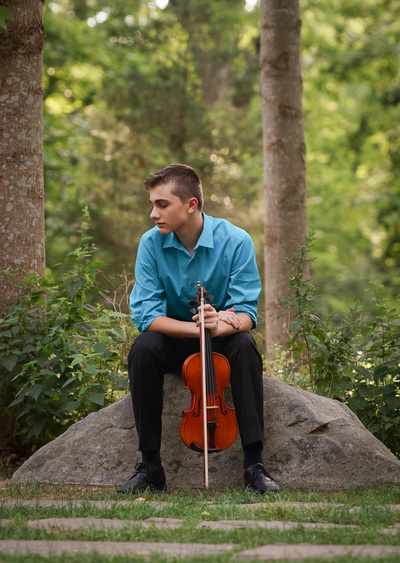 I began studying violin at age 6, and since then have won many awards, competitions, and been seated first in various orchestras and festivals, including the Long Island String Festival Association, SCMEA, Gemini Youth Orchestras, Long Island Youth Orchestra, LIU Post Chamber Music Festival Conductor’s Ensemble, NYSSMA All-State Conference, and NYSCAME Suffolk All-County, where I performed the concertmaster solos in Rimsky-Korsakov’s Capriccio espagñol. In my community, I serve as a violinist in the Long Island division of the Back to BACH Project, a community outreach program championed by members of The Juilliard School. I am currently in my first year with NYYS as a violinist in my piano quartet for the Chamber Music Program studying and preparing the Schumann Piano Quartet under our coach, Caitlin Lynch. Receiving the Vargas-Vetter/Ukena Fellowship has been an incredible honor, and I am grateful for this opportunity to continue my music education. I look forward to giving back to the community, as I represent truly one of the finest institutions for young musicians in the nation. Jaycee will be mentored by Judith Insell, violist and music education advocate at the Bronx Arts Ensemble. 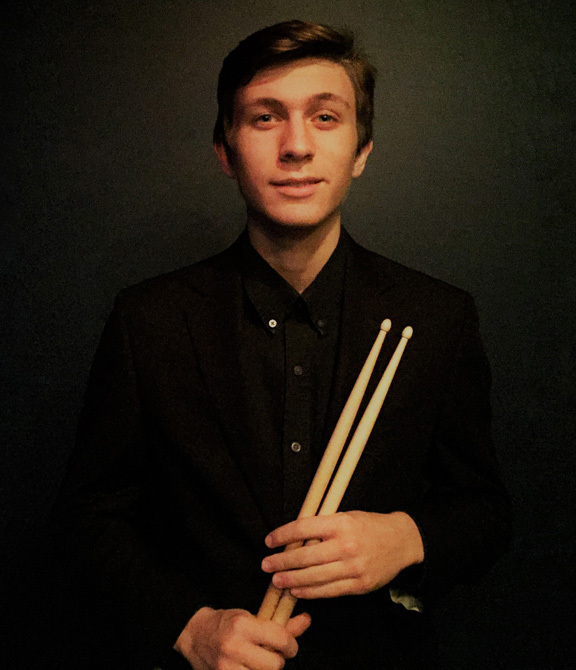 I am a percussionist in the eleventh grade and from South Plainfield, New Jersey. I have been playing for six years and studying privately with Greg Giannascoli for the past two. I have previously performed with several NJ Region II and All-State Ensembles, and I'm excited for my first season with the NYYS percussion section! Besides playing symphonic orchestral percussion, my other musical interests include playing in pit orchestras, singing, composing, arranging, and teaching. I hope to one day become a percussionist or timpanist in a professional orchestra. Robert will be mentored by Steven White, percussionist at the Metropolitan Opera Orchestra.